Is it worth it to calculate continuous carriers with the static software RSTAB or RFEM? 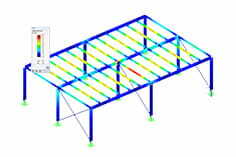 Even simple structures (eg Continuous beam, 2D frame) can be quickly and effectively modeled with RSTAB and RFEM, calculated and measured according to different standards. For such models, it is particularly recommended to use the different model generators (see Figure 1). 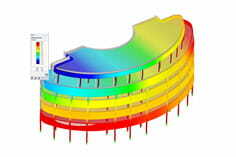 After entering the cross-section parameters, loads and geometry details, the model is automatically created by the model generator including the load cases (see video file).